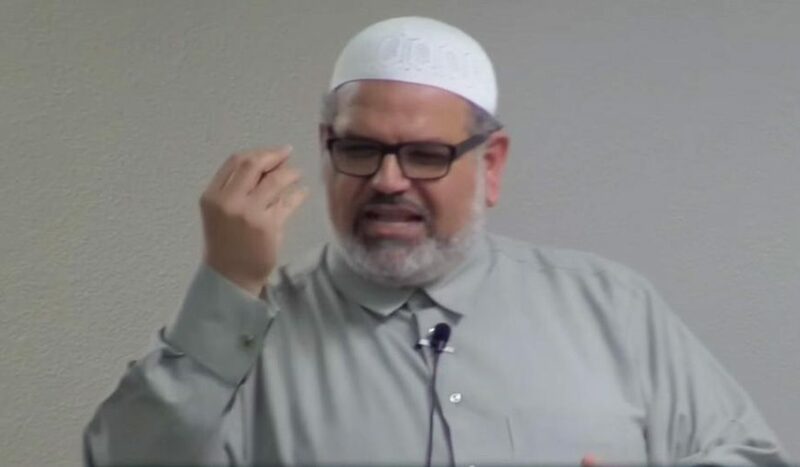 In March, the Islamic Society of Wichita rescinded an invitation to Monzer Taleb, a longtime sympathizer of Hamas, the Palestinian branch of the Muslim Brotherhood and a formally designated terrorist organization under American law. Taleb was to speak at a fundraiser, but the Islamic Society canceled his appearance when community members protested and Representative Mike Pompeo (R., Kan.) publicly raised questions about the matter. The Wichita Eagle covered the controversy. In my opinion, the paper’s reporting stressed the allegations of “Islamophobia” posited by Islamist sympathizers in reaction to the protests. The paper also focused on what it described as “a trend by anti-government militias of targeting Muslims.” The impropriety of a prominent Islamic organization’s decision to give a platform to an apologist for a terrorist organization seemed of, at best, secondary importance. Consequently, last Thursday (April 7), I submitted a proposed op-ed to the Wichita Eagle. This weekend, a member of the paper’s editorial board informed me that the paper believed it had adequately covered the matter and therefore had decided to decline my op-ed. I have reproduced it, below. As a federal prosecutor in 1993, when I led the investigation and trial of a jihadist cell that had bombed the World Trade Center and plotted an even more ambitious attack on New York City landmarks, the first Muslims I encountered were not terrorists. They were anti-terrorists: patriots who embraced America and Western liberty. They helped us infiltrate the cell, thwart the jihadist plots (including the planned attacks in Manhattan), and convict the terrorists. There was a valuable lesson in this. Radical Islam poses a serious threat to America and the West, very much including a threat against American Muslims, our fellow citizens who reject radical Islam’s authoritarianism and savagery. While terrorists and their atrocities grab the headlines, much of the real battle takes place in Muslim communities. A key to winning that battle and protecting our security involves distinguishing our radical Islamic enemies from our patriotic Muslim allies. The Muslim Brotherhood and its Palestinian branch, Hamas, which is a terrorist organization and has been formally recognized as such under American law for some 20 years, are on the wrong side of that divide. Representative Mike Pompeo did the people of Kansas – both non-Muslim and Muslim Americans – a great service by calling out the Islamic Society of Wichita (ISW) on its indefensible invitation to Monzer Taleb, a Hamas sympathizer, to speak at a fundraising event. The ISW only further besots itself by claiming that common-sense concerns raised by Representative Pompeo and other Kansans stem from “Islamophobia.” That tired smear was shrewdly developed by the Brotherhood precisely to shut down examination of its repulsive ideology and stealth tactics. As we proved in our terrorism prosecution in the 1990s, communities thus taken over by radicals become hubs for terrorist fundraising, training, and other means of material and moral support. Recent events in Paris and Brussels underscore that violent jihadism thrives in safe-haven communities that sympathize with the terrorists’ aims, or where people who might object are intimidated into silence. It is therefore essential to our national security, and to the ability of pro-American Muslims to practice their faith free from Islamist intimidation, that we identify, marginalize, and reject terrorist sympathizers. Representative Pompeo did just that. Monzer Taleb is not a closet Hamas sympathizer. He has been open and notorious in his support for this mass-murder organization that, by its charter, pledges to destroy Israel by violent jihad. As proof in the Holy Land Foundation case demonstrated, Hamas has acted on this pledge since its inception in the late 1980s. The principal activity of the Brotherhood’s network of American Islamist organizations has been to support Hamas. The Brotherhood backed Hamas and its intifada through “Palestine Committees” in the West. Taleb was a Palestinian Committee member. He even performed in a band that sang pro-Hamas songs – and, indeed, the band’s leader, Mufid Abdel Qader, was ultimately convicted of providing material support to terrorism and of money laundering. While it is gratifying that the ISW rescinded its invitation to Taleb, it is very disturbing that the invitation was extended in the first place. It takes less than three minutes of Internet research to learn about Taleb’s Hamas ties. It is doubtful such research should be necessary since those ties explain his popularity in radical circles. Rather than whining about “Islamophobia,” which only fuels suspicion that the ISW’s leadership is using the Brotherhood playbook, the ISW should alleviate concerns by condemning Hamas. To be clear, this does not mean they should condemn “terrorism” – the Brotherhood is always happy to do this because it rationalizes that Israel is the real terrorist. It means naming names: Hamas. In the battle against radical Islam, pro-American Muslims who seek peace stand firmly against Hamas, a terrorist organization, material support of which is a felony under American law. It should not be hard to correct any misimpression caused by the Taleb invitation. ISW just needs to stand unequivocally against Hamas, joining Representative Pompeo and scores of other patriots.